The poll of 38,000 self-selecting students was conducted by the Insight Network, a group of psychiatrists and therapists, in partnership with freshers’ welcome box company Dig-In. In the report, it was revealed that 44.7% of the students who took part in the online survey used alcohol or drugs as a coping mechanism for psychological distress, and 9.5% said they did this often or always. In addition, 50.3% of the students surveyed reported thoughts of self-harm, which doubles the 2017 statistic. 9.4% of these students said they thought of self-harm often or always. 21.5% of the students said they had a current mental health diagnosis. Depression (10.2%) and anxiety (8.4%) are the most common diagnoses. Indeed, the students in the online survey reported extremely high levels of anxiety, with 87.7% struggling with feelings of anxiety and 42.8% being often or always worried. 33% of the students said they also suffered from loneliness. Mental health support is a contentious issue for University of Birmingham (UoB) students, many of whom are unsatisfied with the amount of funding allocated to student wellbeing, as indicated by the focus on mental health in candidate manifestos in the recent Guild elections. The Guild President-elect, Joshua Williams, had two clear mental health campaigns on his visual manifesto, while the Welfare and Community Officer-elect, Millie Gibbins, also placed emphasis on decreasing waiting times, guaranteeing follow-ups and improving mental health welfare provisions for postgraduates. 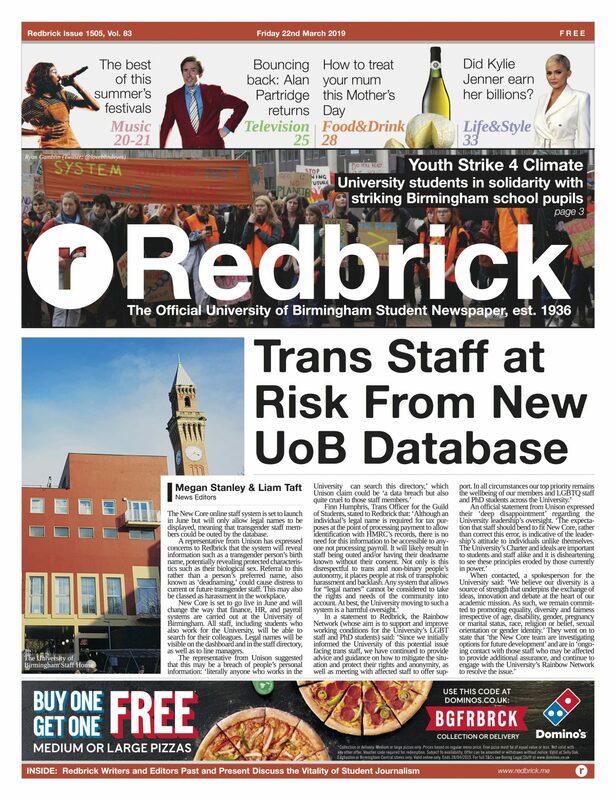 Redbrick contacted the University of Birmingham Mental Health and Wellbeing Services who said: ‘The [University's mental health service] has established standards which means we aim to see students who require Counselling within 20 working days of registering with Mental Health & Wellbeing for support. Currently, and since the begin of this academic year, all students who require Counselling have been seen within 20 working days. 'In addition to this, we have clear Triage processes in place for escalating cases where there is a more urgent need for Counselling and thereby enabling students where required, to be seen within 10 working days. The MH & WB Service also delivers a daily drop in for students who require immediate access to professional practitioners.